>Because of your desire for power, “High Tinker” and possible jealousy towards Gelbin Mekkatorque, The gnomes of Gnomergan only have Ironforge now to call home. The Gnomes have built many new homes for themselves! Toshley’s Station, Fizzcrank Airstrip, and even Darkmoon Island! The Dwarves turned their backs on gnomes and threw them out. These are the traitorous “allies” that no one wanted to upset back when I suggested building more gnome settlements on the surface in Dun Morogh! > mindless fighting for the right to rule while the gnomes of Gnomergan must find other living arrangements. I’m not doing the fighting. I am on the defensive here! You don’t see me sending armies in to Ironforge or New Tinkertown. I’m just trying to manage my own space here! I do want to expand. But there are plenty of undeveloped places on Azeroth that gnomes could colonize. >>I believe that your mind and ideas are still useful but I still fully support Gelbin Mekkatorque and as long as I live my loyalty lies with him. As per my Gnomitive, I will pledge to you the resources I have for the purpose of restoring and bettering Gnomergan for its future generations. I’m glad you recognize my brilliance! You want to support someone? Support Toshley, Support Fizzcrank. Support the Gnomes that aren’t wasting their time on a Civil War. Support new Gnome settlements and expansions. Pouring resources in to Gnomeregan is a mistake. This city is ruined. You could build a new, bigger, better city for less that it would take to clean this… PIT! Every section of the city represents a unique challenge. We have to work with speed to keep tunnels from collapsing. It’s all we can do to keep the roof over our heads from falling ON our heads. >>I on the other hand, have had a few agents and operatives inspect Gnomergan and begin initial preparations for my Gnomitive. How am I supposed to trust someone that sends SPIES in to my organization!? 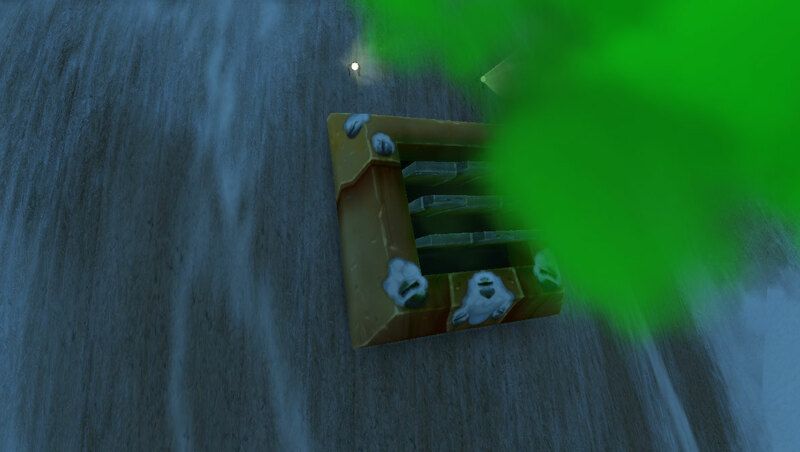 >There are at least fifteen vents around outer Gnomergan that are leaking out green infectious gasses. This contamination must be cut off at first so that any remaining contamination can be eliminated at its mystery source. 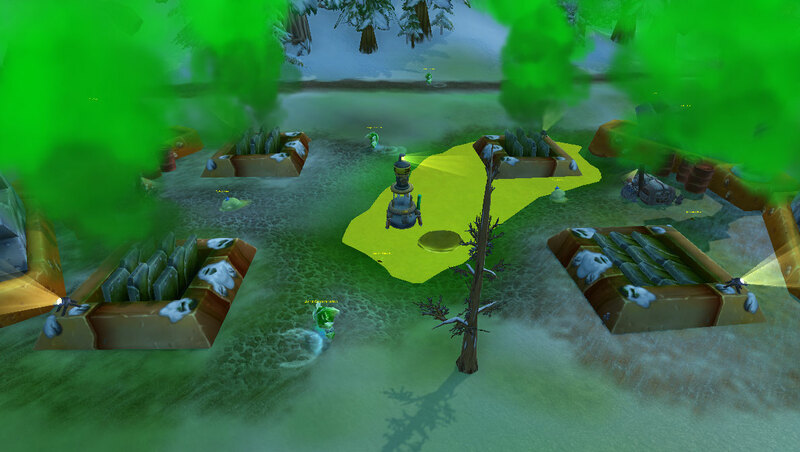 >Pools of radiation have been identified around the Toxic Airfield and go as far south to Frostmane Hold. Do these pools sink deep into the earth or are they simply knee deep? The bomb started a chain reaction. There is a catalyst that creates the poison gas. As long as fresh air and water keep coming in to Gnomeregan, poisoned Air and water will continue to pour out. The poisons are side effects of the main chemical component, which APPEARS inert on it’s own, which is why the gnomes have failed to clean Gnomeregan so far. >How many gnomes are still leprous? Both externally and internally? Consolidate any radiated blobs on the surface and attempt to reanimate them back to their original forms. Externally? Not many. MEKKATORQUE KILLED ALL THE GNOMES that were irradiated on the surface. Down here? The second bomb boosted our numbers. I would say, we represent ~50% of the gnomish population of Azeroth. >How much of Gnomergan is still affected by your radiator bomb? How much of Gnomergan would need to be cleaned up in general? Is this source in the Hall of Gears? The decontamination process can be built at a much larger scale. I would say that Maybe a third at most has been cleaned. It goes back and forth. Some areas that are clean get recontaminated because of the way the poison spreads. >Gnomergan is highly understaffed and too many Sanitrons are lost decontaminating gnomes exiting Gnomergan. Perhaps they can be combined with Sparklematic 5200s? Agreed. If I had more staff I could get a lot more done! We could try cleaning Gnomeregan like the sparklematic, but that would require us to flood the whole city. Which would mean it would need to be evacuated. Which the Lepers and I can’t do, because we will get murdered as we funneled out the entrance. >Is it possible that the decontamination process that utilizes “Green Lighting, Water and Lighting” work on an already crazed gnome? Possible but unlikely. The intensity of the decontamination process would need to be increased to the point the gnome might not survive. >If the contamination can be easily removed from a gnome, how hard or how easily could Gnomergan be cleaned by say the decontamination process? It’s a matter of scale. Decontamination is a rough process, as you scale it up, the danger increases exponentially. >Any tunnels generated by incursions must be either retrofitted as working tunnels or be collapsed down and filled in. 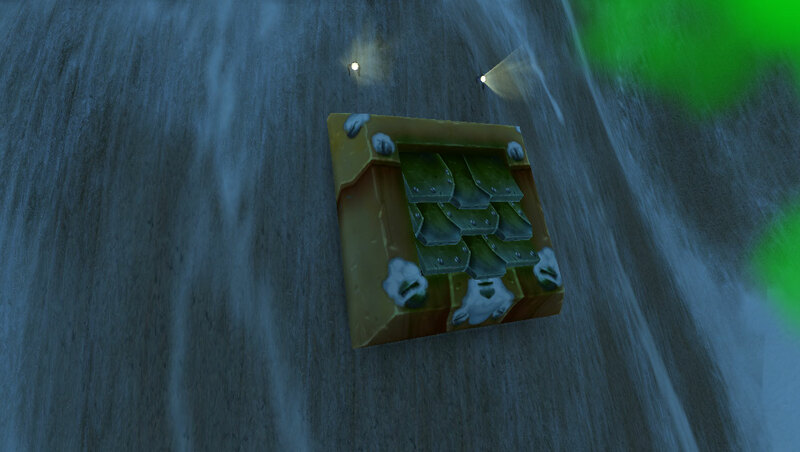 There is a big weakness in a nearby wall near the entrance that needs to be dealt with. The tunnels down here are a mess. Two explosions and the Cataclysm have really done a number on them. When our tunnels hit the trogg tunnels we were opened up to a whole unmapped network of tunnels that do not met gnomish safety standards. >As per the advice of Sicco and one or two other gnomes, I propose that the Troggs be given a small territory just outside of Gnomergan. Would it be possible to introduce Troggs properly into gnomish society? Another question for another time. 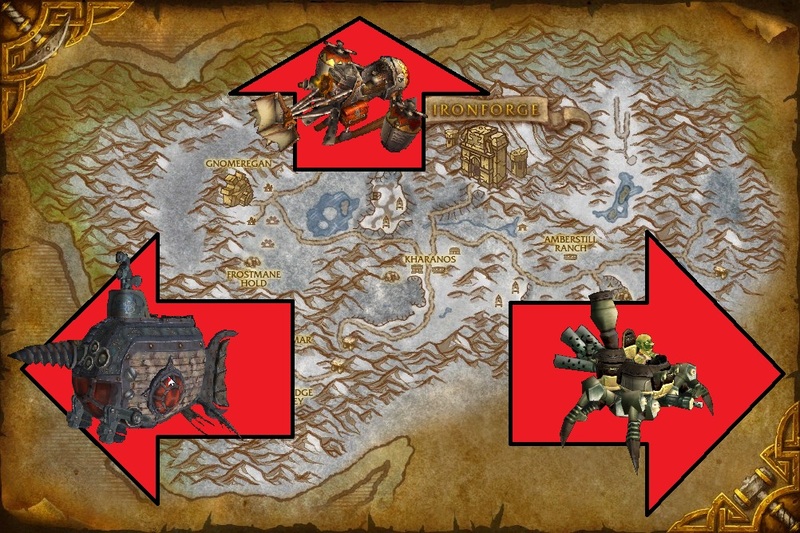 I think that thr tunnles the troggs come from could be retrofitted to house the troggs so that ‘Gnomeregan proper’ would not have to secede much (if any) room for them. >The main entrance of Gnomergan needs to fully excavated. Indeed. I am concerned that half of New Tinkertown is situated to close to the entrance, and over unstable tunnels. >General clean up of various junk piles will be necessary. Sounds like a good opertunity to create a “put the troggs to work” program. Troggs need something to do. >Numerous Dark Iron Agents were found within Gnomergan, they will need to be ejected out. I’ve offered asylum to Dark Irons that are unsure of their future after agents of Ironforge assassinated their king. They stay! >My operatives found numerous unused mechano tanks and unused planes that are fully operative. These could be useful as mounts. I am working on a program to give out mount rewards to those citizens of Gnomeregan that dedicate themselves to there service of the city! >Create suits that will help aid in the decontamination of gnomes even while they are not in Gnomergan, because I need to see whether Sicco can be cured of his sickness. Finkle Einhorn’s Hazardous Environment Suits are more than capable of handling the background radiation present in Gnomeregan. For short trips, a standard fumigators mask will do the trick. I would be willing to consider submitting to a decontamination process that had been thoroughly tested. >Finally, I will call on both Sicco and the High Tinker to a peace summit so that these ideas can be fully fleshed out. A temporary truce will be necessary. While I am not fully educated on gnomish laws, I will ask that any sentencing on Sicco’s behalf be temporarily put on hold. I realize that this will be a tall glass of water to ask of the High Tinker, so I and my Brotherhood will personally vouch for Sicco. Should he betray my Brotherhood, counter measures will be prepared so that this never happens again. >My agents have attempted to contact you personally, Sicco, but every time they have, you have deployed one of your contaminated replicas. I don’t make personal appearances. This method of communication seems completely reasonable to me. Now, it is time for me to reveal another portion of my plan. I was inspired by an Arcane Cleanser device that is used to clean up stink bombs during Hallows End. What if this small device could be expanded to a bigger scale? I have a mock up of my idea that you will see here. Please see the enclosed images for my mock ups and scans of the outlying area.+I like to call this The Decontaminator-Smellnicerizor. This is a device that will be able to fit over the current vents and change the gasses found in Gnomergan to something pure so the air will, at first, be cleaned to stem any further polluting of the outside air. Then, eventually, once the decontamination is dealt with it can be used to emit nice smells out of it. Motor oil, chocolate chip cookies etc. I will need mages versed in the Arcane arts to be the ones to fabricate these filters but then eventually this will be able to be taught to any mage. Once decontamination is dealt with and fully cleaned up, I imagine a few things can be built outside. I imagine a theater for performing can be built, restaurants and a few other things. 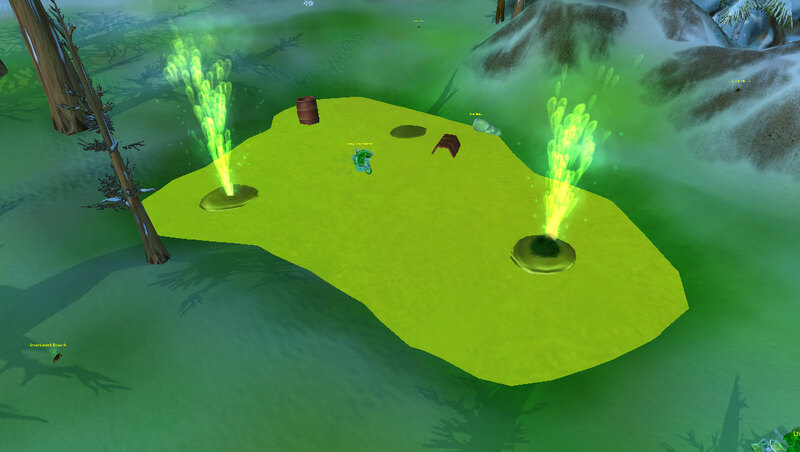 I would like to see Gnomergan expanded out of the earth, to help brighten the place up. This place should not be all dark and dusty for much longer. I am more concerned with the cleaning process first and then sprucing the place up can be Phase 2. There is much to take care of Sicco. If you really care about the restoration of your home, you will take my advice seriously. I will also be sending a correspondence to the High Tinker, because I want him to be aware of my Gnomitive. I’m all for restoring Gnomeregan to it’s former Glory. I do want to make clear that Gnomish expansion is still my number one goal. I would want to the the majority of Gnome resource put in to building NEW settlements rather than trying to reclaim Gnomeregan. 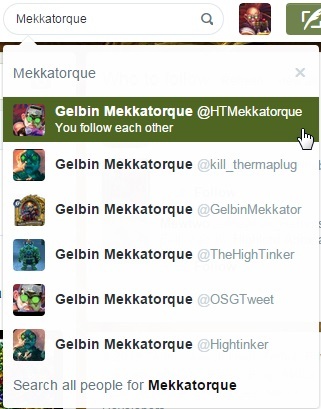 Let me know what Mekkatorque says. I am Dreyfus Xano, Head Entertainer and Lead Innovator of The Xanoic Brotherhood. Thank you for investing you time and resources in to gnome issues. Mekkatorque and I have both been getting some polling numbers to see where our campaigns stand. Even though he APPEARS to be showing a lead, I still feel like I’ve got a strong showing. The MOST disappointing thing to me is how few people bothered to vote. The media might cast me as the villain, but gnomes know things are never so black and white. I have guided all of recent gnome history. I’m the first gnome that new gnomes learn about. I’ve stuck with Gnomeregan. I’m not leaving until it is restored. I know Mekkatorque is busy restoring Orgrimmar for the horde, because reasons? I’m sure he has a good excuse why he’d rather fight for Vol’jin than for gnomes. The truth is gnomes need me, and I need them! Lets gather here, in this city and raise it up to be the best place on Azeroth. We can do it! I believe! My spy network has been reporting back to me on whose who in Mekkatorques forces. I’ve been trying to crack who is on the Tinkers Council now. Some gnomes that were on the council when Gnomeregan feel are still alive and kicking, but they might not still be on the Council. Tinkmaster Overspark, Chief Architect of Gnomish Engineering: Very Likely. He was a member of the council. Outspoken, easily manipulable, I got him to banish Oglethorpe Obnoticus, the old fool. “Doc” Cogspin, Surgeon General: No word yet on what her first name might actually be. She may or may not be a previously established member. Kelsey Steelspark, Gnomeregan Covert Ops: Certainly the most active member of the Gnomeregan Covert Ops. Not sure if she really head of the group, or just their best agent. Nevin Twistwrench, S.A.F.E. Commander: I’m doubtful of this one. We have more intelligence on Nevin than almost anyone else on this list and frankly, I am not impressed. Why Mekkatorque put someone so green in charge of the clean zone is a mystery to me. Hinkles Fastblast, (Title Unknown): I’ve gathered the least amount of information on Fastblast. He was a large part of Operation Gnomeregan, and seems more experienced that Drill Sergeant Steamcrank, but I don’t have enough info to tell which one is really in command. My goal was always to get Gnomes out of Gnomeregan and exploring Azeroth and making new gnome settlements. Toshley’s Station, Fizzcrank Airstrip, heck even New Tinker Town are all MY Vision, MY Legacy! The cost to Gnomeregan was high, but the gnome race has been reforged in the way I always saw them. Fighting for a larger place in the world! I need this to be a fair fight so I don’t get a bunch of belly aching whiners after the election. That way I can TRULY prove my vast supreme-ness! Bring it on Mekkatorque, you are going down once and for all! Don’t be fooled by imitators. My main platform as candidate for High Tinker remains what it has ALWAYS been. Manifest Destiny of the Gnomish Race across Azeroth. It just makes sense. No other group has the technical expertise of Gnomeregan. Every sovereign nation on Azeroth could be made better with Gnomish Technology, and we should be present in all those places introducing and maintaining them for the smaller minded races. If brains were height, gnomes would tower over all! It’s time for gnomes to stand up and take their place in history! Mekkatorque wants to give you a city, I want to give you THE WORLD!